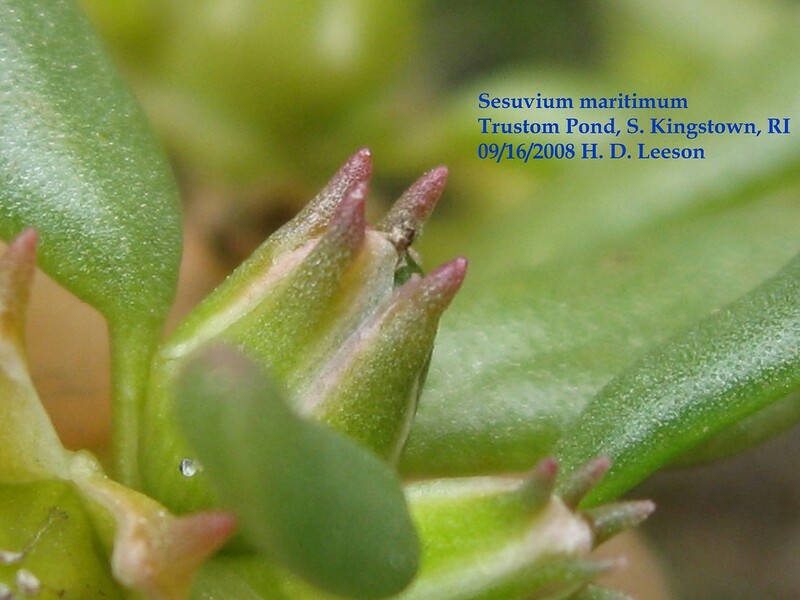 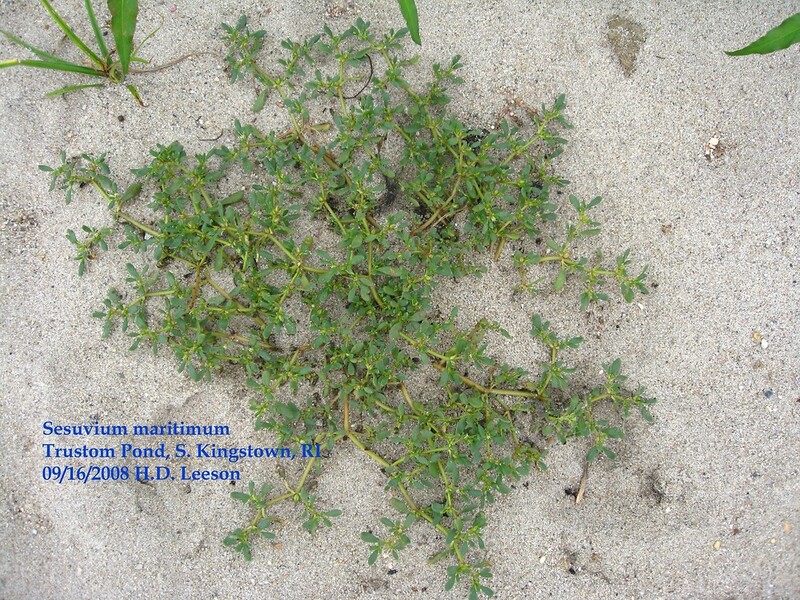 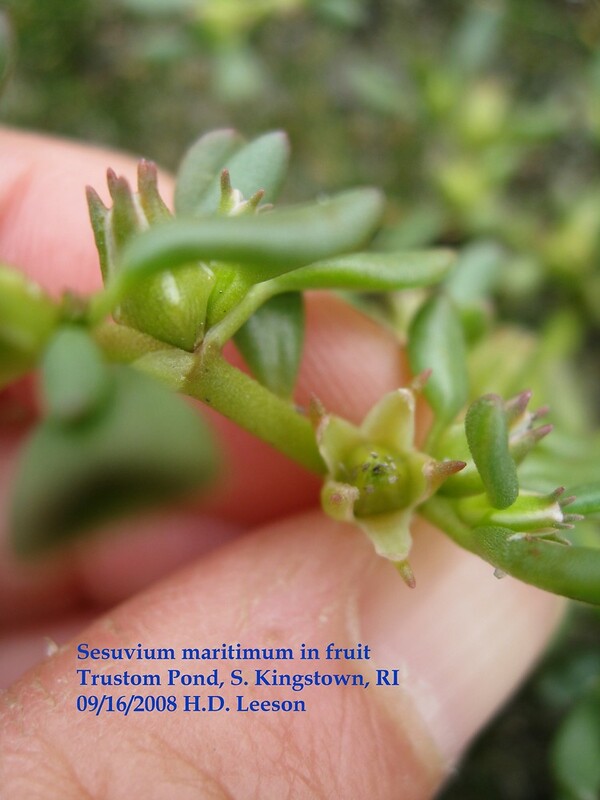 Annual sea-purslane has a continuous distribution exclusively along the coast of North America from Rhode Island to Mexico, and disjunct populations inland in Kansas and Oklahoma. 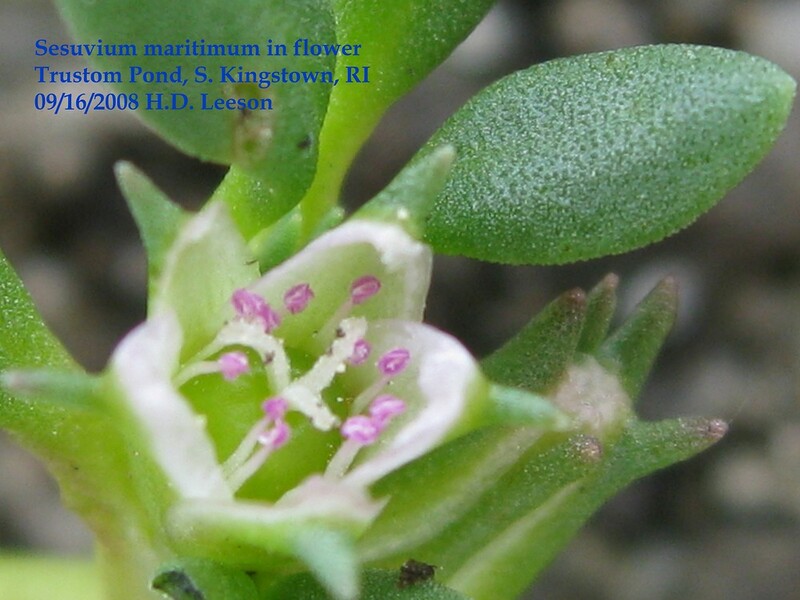 It is rare in New England, and appears to be in decline in much of its range. 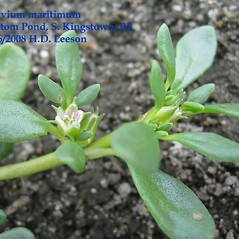 flowers yellow and sepals 2 per flower, without apical appendages (vs. S. maritimum, with flowers white to pink to purple and sepals 5 per flower, with small, subterminal, horn-like appendages). 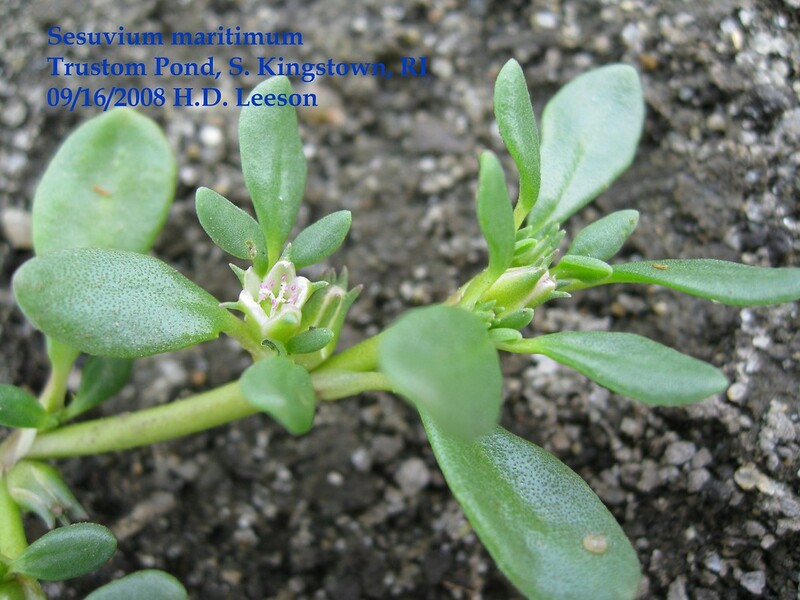 annual sea-purslane. 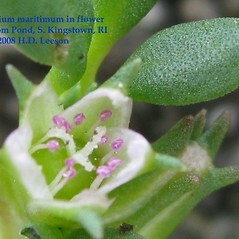 Pharnaceum maritimum Walt. 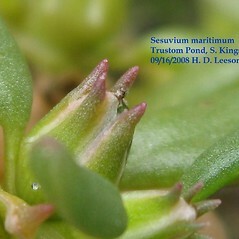 ; Sesuvium pentandrum Ell. 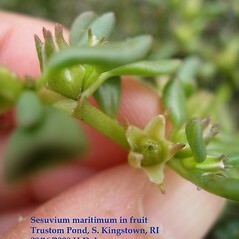 • RI. 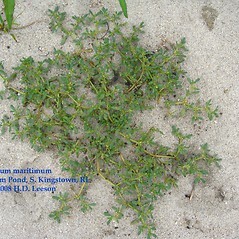 Coastal beaches, dunes, brackish marshes.